New Delhi, Dec 17 (IANS) India and Tajikistan on Saturday discussed cooperation in the fight against terrorism and working closely on developing trade and transport links through the Chabahar Port in Iran, Prime Minister Narendra Modi said on Saturday. “The threat from terrorism endangers not just our two countries, it casts a long shadow of violence and instability over the entire region,” the Prime Minister said without naming Pakistan, which India has charged with sponsoring terrorism. Modi said that this would be done on multiple levels — by reinforcing overall bilateral security cooperation, through greater training, capacity building and information exchange, and through active coordination in regional and multilateral contexts. The two also agreed on the need to increase the scope and scale of the two nations’ economic engagement, especially trade and investment traffic. “In this context, hydel power, information technology, pharmaceuticals and healthcare would be areas of priority action. “We agreed that enhanced surface connectivity is crucial to realise the promise of our economic partnership for the benefit of our countries,” said Modi, adding India supports initiatives to develop the existing port and transport infrastructure and connecting it through road and rail network with Afghanistan, Tajikistan and Central Asia. “In this respect, we will work to build trade and transit links through Chabahar port in Iran,” he said. Earlier this year, India, Iran and Afghanistan signed a trilateral agreement on developing the Chabahar port to boost connectivity between South and Central Asia. “India is also engaged in facilitating the International North South Transport Corridor with other members, including Tajikistan,” Modi said. “Our planned accession to the Ashgabat Agreement (a multi-modal transport agreement between Oman, Iran, Turkmenistan, Uzbekistan, Kazakhstan and Pakistan) will further help in linking us with Tajikistan and Central Asia. President Rahmon said that the talks primarily focussed on boosting bilateral ties and major regional ties. 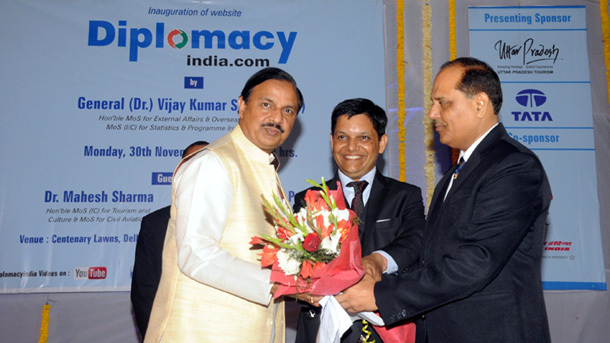 He also invited Indian businessmen for small and medium hydel projects in hs country. Following Saturday’s talks, India and Tajikistan signed four agreements related to cooperation in the exchange of financial intelligence related to money laundering, related crimes and financing of terrorism; amending avoidance of double taxation pact and prevention of fiscal evasion; cooperation on broadcasting in exchange of audio-visual programmes; and on bilateral investment. In a joint statement following Saturday’s parleys, India and Tajikistan resolved to strengthen bilateral counter terrorism cooperation and expand security and defence ties. “The two leaders agreed that terrorism in all its forms and manifestations must be eliminated without any distinction between good and bad terrorists and called for an end to sponsorship, support and provision of safe havens and sanctuaries to terrorists,” it said. Both leaders reaffirmed their resolve to strengthen bilateral counter terrorism cooperation, expand security and defence ties and work for early adoption of the Comprehensive Convention on International Terrorism by the UN General Assembly. Stressing on the importance of an “Afghan-led and Afghan-owned peace process and national reconciliation”, both countries, as neighbours of Afghanistan, resolved work together to contribute to Afghan peace and prosperity. 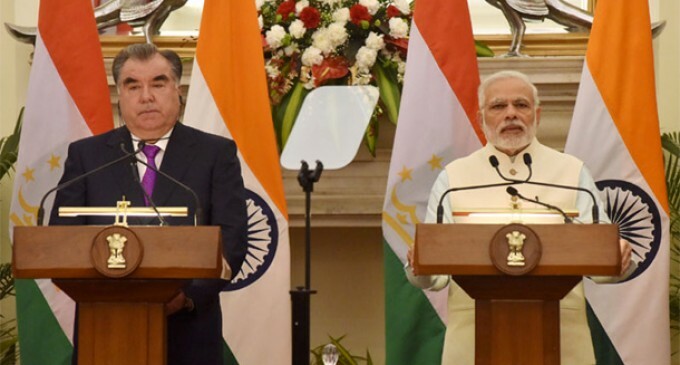 While both leaders called for comprehensive reforms of the UN structures, President Rahmon reiterated Tajikistan’s support to India’s candidature for permanent membership of an expanded UN Security Council. The leaders stressed on the need for joint measures to expand and diversify the “below potential” bilateral trade, and reflected on improving regional connectivity. This is the sixth visit of President Rahmon to India. Earlier on Saturday, he was accorded a ceremonial reception at Rashtrapati Bhavan here.